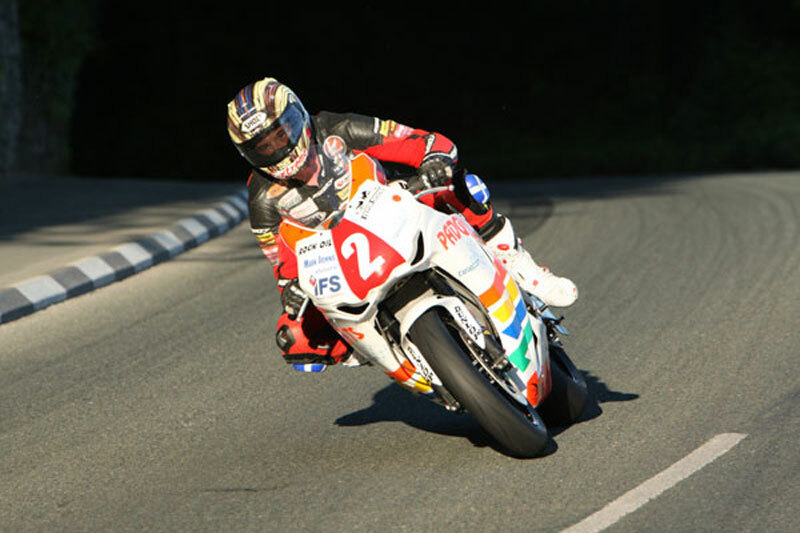 This stunning image from the 2009 Isle of Man TT shows the great John McGuinness in action on the Padgett’s Honda Superstock machine. You can clearly see the intense concentration in his eyes as McGuinness guides the 1000cc machine through Greeba Castle during Practice Week at TT 2009. The picture is a wonderful study of a road racing great at the top of his game, and a real celebration of our sport.